BOSCH FUEL FEED UNIT 0986580952. However delays are occasionally inevitable due to unforeseen circumstances. Reference OE/OEM Number NISSAN:170409U01B NISSAN:17040AX000 NISSAN:170409U01C NISSAN:17040AX01A NISSAN:17040AX010. Bosch Diesel Injectors. - Diesel Injectors. Other Diesel Injectors. Bosch Diesel Valves. Delphi Diesel Injectors. Denso Diesel Injectors. - Diesel Filters. - Diesel Valves. 059130755AH 0597130755AB 0445010659 0445010673 0445010685 0445010686 0986437404 0445010646. BOSCH CP4 HIGH PRESSURE INJECTION PUMP FOR AUDI VW 2.7 3.0 TDI. Each pump has unique serial number. All parts supplied are taken from a used vehicle, may show signs of wear and tare. All parts are checked while on the vehicle and will be checked again before dispatch. These parts are from a used vehicle may have scuffs and scratches. Bosch Automotive. As the world’s largest independent parts supplier to the automotive industry, we significantly contribute toward making driving ever safer, cleaner, and more economical. Range Rover L322 (2002-2009) TD6 3.0 Diesel BMW M57 D30 Engine. Reconditioned Bosch Fuel Injection Pump. Bosch Numbers In many cases your problem is easily resolved by a phone call. Pictures and part numbers are be used for reference purposes only. BMW MINI & COUNTRYMAN 1.6 Diesel Injection Pump. MINI (BMW) 13 51 8 577 648. MINI (BMW) 13 51 8 573 249. BMW 13 51 7 823 453. BMW 13 51 8 573 249. BMW 13 51 8 576 514. BMW 7 823 452. BMW 13 51 8 577 649. FORD 5162174, AG9E9D376AB, AG9Z9350B. FORD MONDEO IV (BA7) 2.0 EcoBoost Hatchback Petrol 07/2010 01/2015 FWD 16 240 176. FORD MONDEO IV (BA7) 2.0 SCTi Hatchback Petrol 03/2010 01/2015 FWD 16 203 149. FORD MONDEO IV Saloon (BA7) 2.0 EcoBoost Saloon Petrol 03/2010 09/2014 FWD 16 240 176. WE ONLY USE OEM SPECIFIED BOSCH PARTS. THE PUMP HAS BEEN RECONDITIONED TO A OEM SPECIFICATION, SO YOU CAN MAKE CERTAIN YOU ARE GETTING A PUMP THAT LOOKS AND WORKS LIKE NEW. WE HAVE SECURITY MARKED OUR PART TO PREVENT ANY WRONG DOINGS (INCLUDING SCAMS.). Bosch Spark Plugs. Bosch Glow Plugs. Bosch Oxygen Sensors. Bosch supplied the industry’s first fuel injection system with a high pressure electric fuel pump in 1967. Direct Fit. Compatible with a wide variety of fuel types. GLASS AND BODY PANELS. Make sure that you are buying the correct item, it is your responsibility to make sure the part you are buying will fit your car. ITEM CONDITION. SECURITY MARKS. AUDI A6 High Pressure Pump 0986437348 3 01/04-01/11. AUDI A6 (4F2, C6) 3 TDI. BOSCH WIPER BLADES & MOTOR. CHAMPIONS WIPER BLADE. APEC WHEEL BRAKE CYLINDER. APEC BRAKE DISC & PADS KIT. BOSCH IGNITION & FUEL PARTS. Citroen Jumpy 2.0 HDi Reconditioned Bosch Diesel Fuel Pump. Bosch Fuel Pump Part Number(s) The fuel pump must be drained of diesel and placed in a plastic bag. You can find the manufacturers number on your old fuel pump. New Bosch Diesel Fuel Pump 0445010506. Bosch Diesel Injectors. - Diesel Injectors. Other Diesel Injectors. Bosch Diesel Valves. Delphi Diesel Injectors. Denso Diesel Injectors. - Diesel Filters. 0445010010 - BOSCH DIESEL PUMP CITROEN PEUGEOT SUZUKI. WE WILL SEND YOU. Primary Part Number Manufacturer's Applicable Part Numbers Vehicle Manufacturer's Alternative Part Numbers. Production Date: 1999 - 2003. Power Output: 135 kW. PART NUMBER 0445010021. ALSO CITROEN PICASSO AND SUZUKI GRAND VITARA. IF THERE ARE PART NUMBERS IN THE ADVERT, THEY'RE THERE FOR A REASON. THIS MUST BE CHECKED PHYSICALLY AGAINST THE PART YOU ARE REPLACING. BOSCH DIESEL FUEL PUMP -FITS MOST. VIN CHECK TO SEE IF THIS FITS YOUR VEHICLE. CROSS REFERENCE PART NUMBERS. AND PROFESSIONAL SERVICE. Compliance with 2003 scrap-vehicle legislation. Maximum operational reliability also applies to in-tank installations. OE experience for such makes as Audi, BMW, DC, Fiat, Ford, Nissan, Opel, Peugeot, Porsche, Renault, Volvo, VW. Part Number: 0580254918. Fuel Pump - Bosch 0 580 254 918. Fitting Position: Fuel Line. Compatibility information provided for guidance only, there may be options for your vehicle. Replaces following reference(s). · Fuel Pump & Sender. · Ford Focus 1998-2005 1.4 16v / 1.6 16v / 1.8 16v / 2.0 16v. We will not take responsibility for incorrectly ordered parts. If you are collecting your item, collection required within 48 hours. BOSCH HIGH PRESSURE FUEL INECTION PUMP RENAULT, NISSAN, VAUXHALL 1.9 TDCI, 1.9DCI Espace / Laguna / Master / Trafic / Interstar Primaster / Movano / Vivaro COMPATIBLE PART NUMBERS : 0445010075 / 0445010031 / 0986437301 THIS HIGH PRESSURE PUMP IS FULLY RECONDITIONED TO OE STANDARD & BENCH TESTED IN OUR WORKSHOP FACILITY. 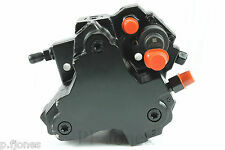 New Bosch Diesel Fuel Pump 0445010510. Bosch Diesel Injectors. - Diesel Injectors. Other Diesel Injectors. Bosch Diesel Valves. Delphi Diesel Injectors. Denso Diesel Injectors. - Diesel Filters. Part Number: 0580464125. Fuel Pump Universal - Bosch 0 580 464 125. Fitting Position: Fuel Line. Replaces following reference(s) Compatibility information provided for guidance only, there may be options for your vehicle. Peugeot Expert/ Expert Van 2.0 HDI 110 16V diesel engine. Will fit others including Peugeot 607, 807, Citroen C5, Dispatch, Jumpy etc. 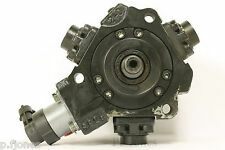 CR diesel high pressure fuel pump BOSCH. BOSCH part number. Fitting Position (Vehicle Specific): in fuel tank, Fuel Line. Does this part fit my vehicle?. How much to send my order overseas?. QFP654, E8258, 770142, 76195. OE Reference numbers. AR 64305, AR 66301, AR 66302, AR 64304, AR 64308, AR 64308, F 116 B 00, F 133. OPEL 13129984, 5815049, 93187098. VAUXHALL 13129984, 93187098. OPEL ZAFIRA B (A05) 1.9 CDTI (M75) MPV Diesel 07/2005 04/2015 FWD 16 150 110. OPEL ZAFIRA B (A05) 1.9 CDTI (M75) MPV Diesel 07/2005 12/2010 FWD 8 100 74. BOSCH FUEL FEED UNIT 0580313085. However delays are occasionally inevitable due to unforeseen circumstances.